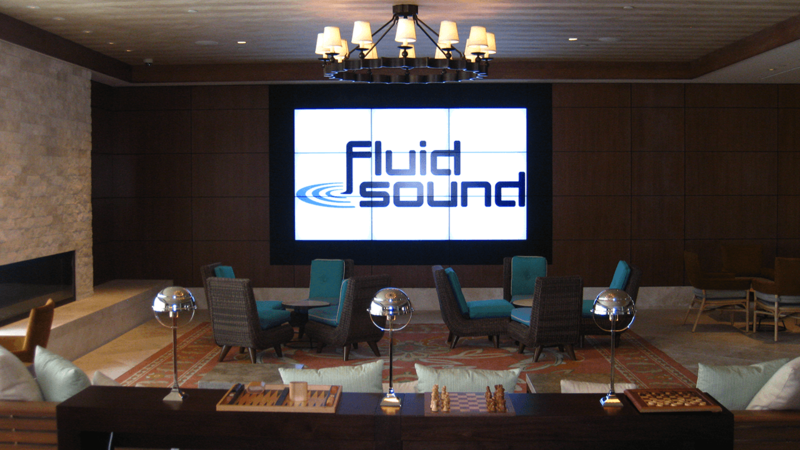 Loews representatives contacted FluidSound to help renovate their beautiful lobby to incorporate that latest high-tech amenities, while blending seamlessly within their victorian architectural stylings. 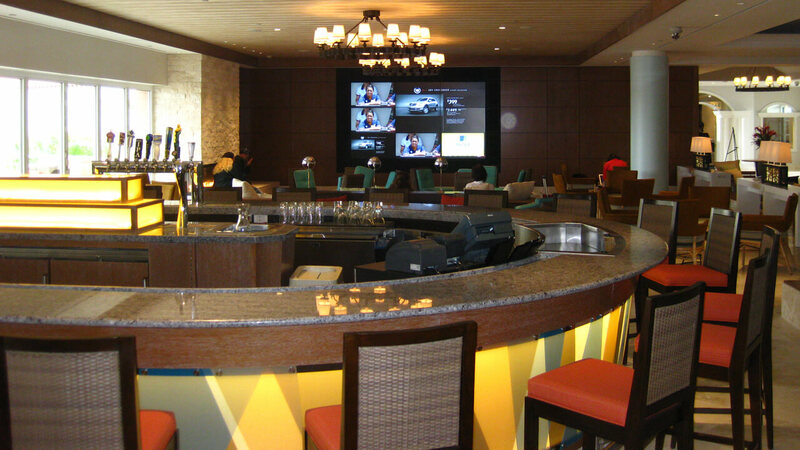 Challenge: The Hotel requested a Audio Video system for the new Lobby remodel that included a large format Media Video Wall for television and digital signage purposes that would visually blend into the design of the new renovations. Solution: The audiovisual installation included use of a Crestron DigitalMedia remote control system, Meyer Sound miniature wide-range loudspeakers, NEC ultra-narrow professional large screen displays configured as a Video Wall in a 3 display wide by 3 display tall (3×3) arrangement.